Potluck & Poison Ivy, the southern storytelling and dinner series presents The Accidental Salvation of Gracie Lee with Talya Tate Boerner on January 24, 2019 at The Joint Theater in North Little Rock’s Argenta Arts District. Doors open at 6pm and show starts at 7pm. Tickets and information available at www.potluckandpoisonivy.org. Music will be provided by the fabulous Stephanie Smittle, a multi-talented musical artist and writer from Central Arkansas. Talya Tate Boerner draws on her childhood to deliver readers back to a simpler time when screen doors slammed, and Momma baked cornbread for supper every night. Boerner, a fourth-generation Arkansas farm girl, has been published in Arkansas Review, Fourth River Literary Journal, and Deep South Magazine. She writes regular columns for Delta Crossroads and Farm Bureau’s Front Porch magazine. Boerner believes word-of- mouth marketing is a powerful thing and trusts her debut novel, The Accidental Salvation of Gracie Lee, will someday find its magical way to the big screen via Reese Witherspoon’s desk. 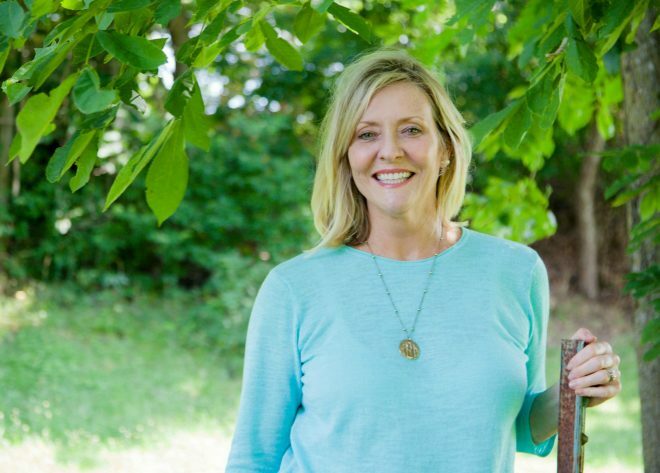 Follow her blog, Grace, Grits and Gardening, for favorite recipes, tales from the garden, and southern road trip highlights. “We are very excited to present the opening show for Potluck & Poison Ivy ‘s 2019 season. We are dedicated to preserving the tradition of Southern storytelling with a dash of music and some great food.” says John Gaudin, executive producer of the series. 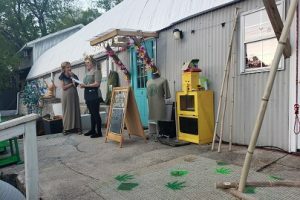 Potluck & Poison Ivy is a live dinner and storytelling event in North Little Rock’s Argenta Arts District that invites you to bring your story to the table by sharing a meal and some good ole Southern storytelling. It’s a potluck of people, theme, and ways to tell a story, served with a hearty helping of laughter, Southern exaggerations and even some unexpected poison ivy. Whether it’s scripted, unscripted, or an open mic storytelling casserole, this is one picnic you don’t want to miss.